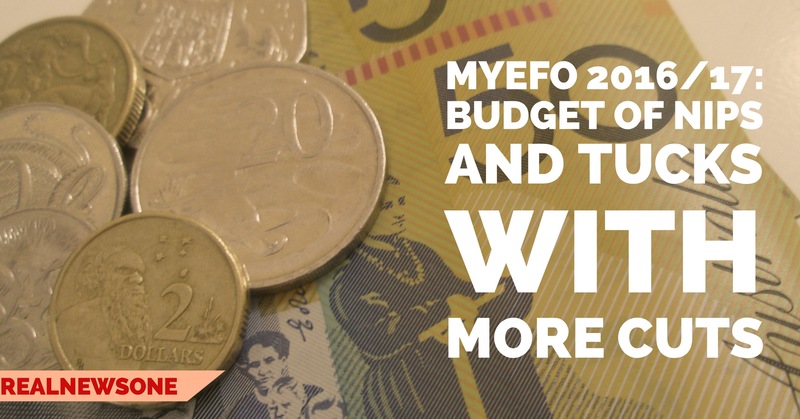 The Turnbull Government has released this years MYEFO for 2016/17 and has been described as a budget of ‘nips and tucks with more cuts’. Such cuts include Tony Abbott’s green army saving $224 million and welfare payments are under the razor. The Government is also closing the Asset Recycling Fund. Deficits over the four year forward estimates have grown by more than $10 billion. The MYEFO also shows that the budget deficit for 2016/17 financial year has shrunk by $600 million. The deficit will go up to $28.7 billion in the next financial year and close to $20 billion in 2018/19, when net debt as a proportion of GDP will peak at 19 per cent in 2018/19. Sluggish wage growth and non-mining company profits have been blamed for a sluggish economy.